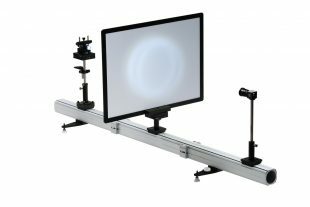 SphereOptics offers a compact, portable photometric or colorimetric measurement accessory enabling fast and precise beam pattern measurements of small lamps and fiber optic illuminators. The method uses a diffusely transmitting or highly reflecting screen to provide a flat image that can be measured by an imaging photometer or colorimeter. 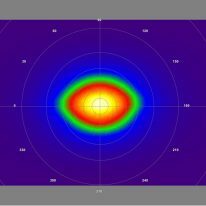 With our analysis software, users can perform a menu-driven, geometrical and photometric calibration process. Two-dimensional (2D) measurements can report the intensity of the test lamp in polar or Cartesian coordinates. 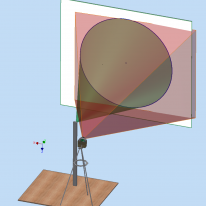 Other computations include illuminance and luminous flux. Chromaticity coordinates and spectral properties can also be measured when using an imaging colorimeter.